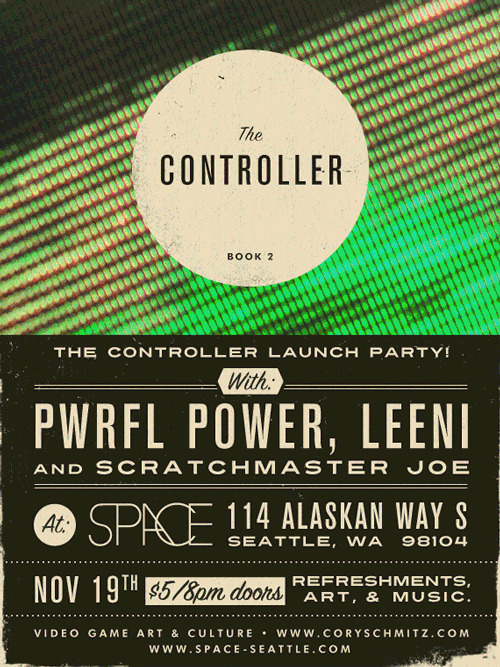 [11.19] The Controller Launch Party @ SPACE -DJ Phantom vs. DJ Dorsia takin’ over the afterparty! Doors for this wondrous event will open at 8PM, with a $5 cover charge, cash only. Refreshments, art, and other items will be available as well. We look forward to your presence at what will surely be an unforgettable experience, and be sure to stick around for the after-party hosted by DJs Phantom and Dorsia (of KSUB’s ACID HAUS)! Our DJ set starts at midnight! Get there earlier for the rest of this super event yo. 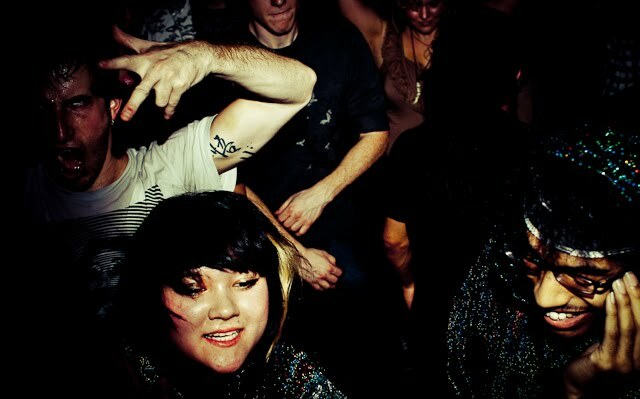 Did a small interview with John Backstrom, talkin bout the SPACE idea and this party..
1. What do you hope to accomplish with SPACE? Well, from the beginning the goal of SPACE has been to inspire and change the way people think about how a space can be used. We want the environment to feel different every time someone experiences it, in more than just a “here’s some different art on the wall” or “this is a different line-up of musicians” type of way. We really want to engage the audience in a new and unique way for every event we have. 2. You live with a whole host of artists, yah? Yeah, I live with three, Kris Dales, who is a sculptor and mixed media artist, Ryan O’Neill, who is a graphic designer and installation artist, and Tristan Sennholz, a musician. 3. What events have you held there so far? Our first event was for the first Thursday artwalk in October, which consisted of hanging pillow installation by Ryan, with a video projected over it. Underneath the pillows, Tristan and our friend Nic Brodine played a half hour set on guitar and drums that went with the video(documentation of this installation is on display in the Cornish Main Gallery right now as part of the Legacies in Print show). After that we had the Green and Fair Fashion show for some friends of ours who run ethical fashion companies in Cambodia, and then we had this insane Halloween experimental rock/metal show, with a large array of paintings all over the walls by our friend JD Banke, and fellow video artist Jonathan Rafael and myself projected some videos we made onto spiderwebs. The show that’s coming down as I type this was for the November artwalk, which was a collaborative video/paper installation by guest artists Allyce Wood and E Dughi, along with some other stand-alone works by each of them. 4. What are you most excited to showcase at the upcoming CONTROLLER PARTY? Well, first of all I’m really proud of my friend Cory Schmitz and all that he’s been doing, so I’m definitely hyped just to showcase his work. I’m also really excited to have an established musician like PWRFL Power play, especially seeing as I don’t think he has really been playing many shows lately, and also I think the other musicians will be fantastic as well.